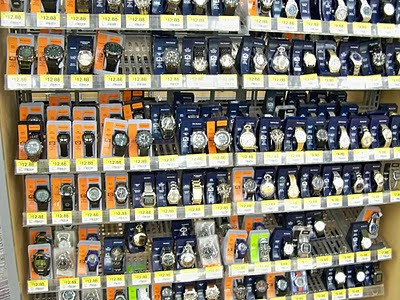 The Watch Dude: Psssst.... check out Watches at Walmart! Watch enthusiasts tend to look far and wide for their latest timepieces. However, they could save a lot of money if they just went to Walmart. A whole wide world of watches awaits with prices as low as $7. Most sell for about $12.88. Name brand watches from Casio, Timex, Carriage, Armitron, and Elgin are also available. Most are very reasonably priced. 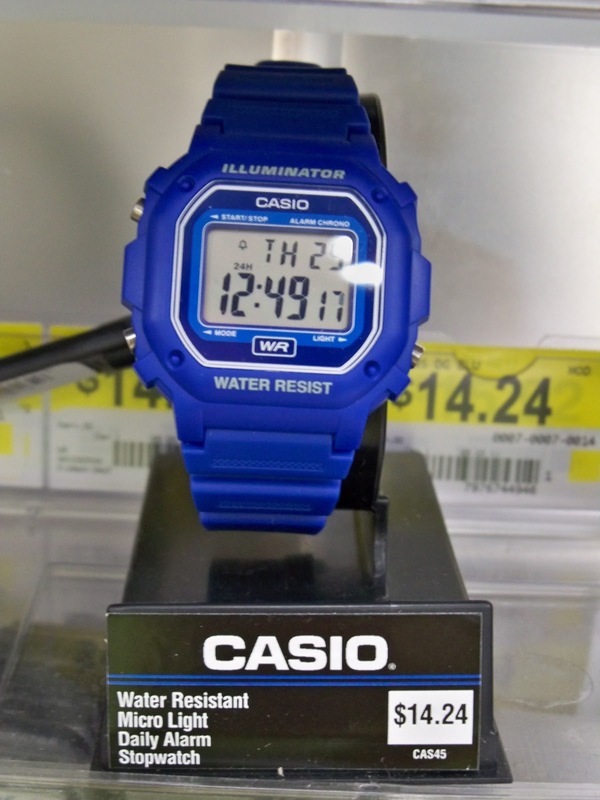 For example, one alternative to Casio's expensive G-shock models might be this simple, but colorful, digital model for only $14.24. Of course, if you like the Walmart price on this inexpensive Casio watch, you'll really love this low price for the same watch on Amazon! 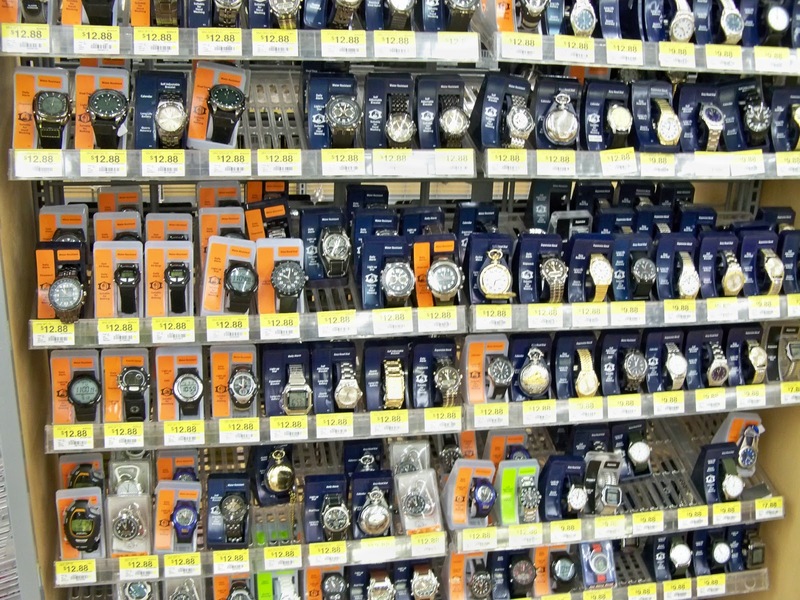 More watches in your Wal Mart image then in my entire town including my Wal Mart.